Animal print may be having a huge resurgence in 2018, but the motif is a timeless one. It’s for this reason that, when it comes to animal-print outfits, there’s no discriminating who can or can’t wear one, and there are no rules about how it must be done. With this in mind, we went looking all over for animal-print outfits—evething that features leopard-, snake-, zebra-print, etc.—that have been seen on style stars from Beyoncé to Princess Diana to our very own Who What Wear editors. Some of us take a more-is-more, head-to-toe approach to the pattern while others only stick to neutral colors and classic silhouettes. Whatever your preference, there’s no wrong way to try it for yourself. Scroll down to decide which approach feels most inspiring and then shop a few essential pieces to re-create it. 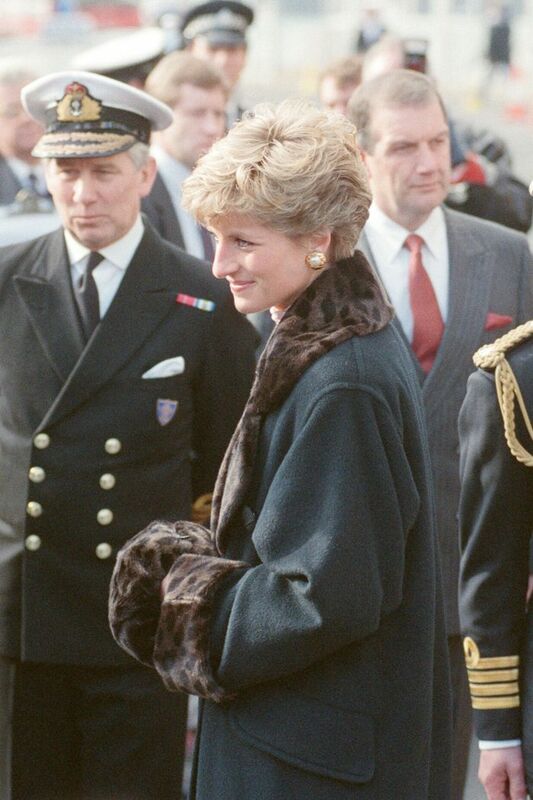 Princess Diana’s elegant, oversize coat has just a simple leopard lining. Tracee Ellis Ross sticks to a printed tee with wide-leg pants and bold accessories. Animal print can be playful, flirty, dramatic, etc. But one of our favorite ways to wear it is sleek and tailored. Pair a printed dress with everyday essentials, like loafers and a wide-brim hat, for an upgrade to your daily uniform. A classic style star, Kate Middleton opted for a clean shift dress in a neutral palette. Rihanna’s snakeskin party dress is much more exciting than a plain, old LBD. Coordinating bucket hats are highly encouraged, too. For a creative interpretation, choose an animal print in a super-bright color. Or commit to a full-body print moment. In the realm of animal prints, cow patterns are quite underrated. Okay, it’s not really an effortless look, but we encourage you to wear leopard like Beyoncé if you so choose. This dress silhouette and colorway might be classic, but the print makes it inherently wild. Buh-bye, all other T-shirt dresses. Next, take a look at the best outfits we’re re-creating from Instagram that show off our fall layering skills.